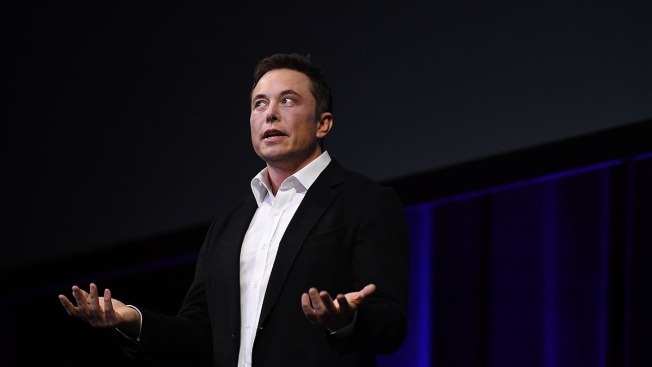 Elon Musk speaks at the International Astronautical Congress on Sept. 29, 2017, in Adelaide, Australia. “Just want to [say] that the Shortseller Enrichment Commission is doing incredible work. And the name change is so on point!” the Tesla Motors CEO wrote on Twitter. The jabs were posted just days after the billionaire tech entrepreneur reached a proposed settlement with the SEC over yet another series of tweets Musk sent in August, NBC News reported. Those August tweets said Musk was considering taking Tesla private and that he had “funding secured” for such a transaction. That caught the attention of the SEC, which last week sued Musk, alleging that the tweet and others Musk sent were false and misleading to investors. Under the proposed settlement, announced on Saturday, Musk would step down as board chairman at Tesla while remaining CEO, and he and Tesla would each pay $20 million in penalties.